Courtesy of OfferPad Brokerage LLC. Gorgeous 4 bedroom with bonus room, 2.5 bathroom home in the Villages at Rosedale. Updates include new neutral 2 tone interior paint and newly carpeted bedrooms. Split floor plan for privacy with downstairs master bedroom including walk in closet, glass shower, and soaking tub. Upstairs bonus room over garage could easily be used as 5th bedroom. Eat in kitchen features new 3 piece stainless steel appliance set, breakfast bar, and pantry. Elegant living room boasts soaring ceilings and corner fireplace. Relax in sun room overlooking grass backyard with view of wooded area. You aren’t going to want to miss this one! 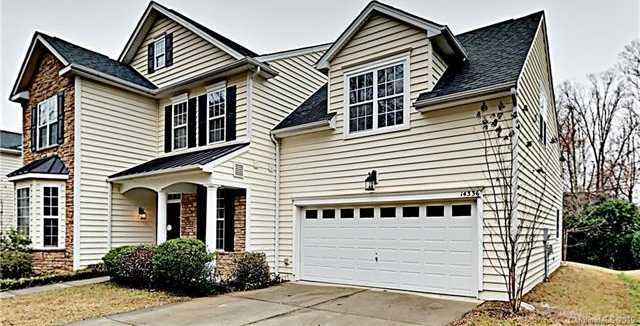 Please, send me more information on this property: MLS# 3472259 – $289,900 – 14336 Laurel Tree Lane, Huntersville, NC 28078. I would like to schedule a private showing for this property: MLS# 3472259 – $289,900 – 14336 Laurel Tree Lane, Huntersville, NC 28078.